Atmospheric scientists worldwide are seeking to save Australia’s involvement in a NASA-led global network of instruments that monitor microscopic particles called “aerosols”, which play an important role in cooling and warming the Earth’s climate. When most people think of aerosols, their mind turns to fly spray or deodorant. But the term has a much broader meaning, covering any microscopic particle that can remain airborne for long periods. Think of household dust floating in a ray of sun through your window. It’s an aerosol. So is smoke, salt spray from the sea, ultrafine sand from beaches and deserts, ash from volcanoes, and the carbon soot emitted from car and truck exhaust pipes. These aerosols sometimes give us blazing red sunsets. But they are also crucial in controlling the Earth’s climate, acting as both warming and cooling agents. Although, molecular gases like methane and carbon dioxide garner more attention for their strong warming effect. A stark example of the role atmospheric aerosols can play is the 1991 eruption of Mount Pinatubo in the Philippines. The 20 million tonnes of aerosol ejected into the atmosphere by this eruption reduced average global temperatures by 0.5℃ for the following two years. An important tool in the study of atmospheric aerosols is an international monitoring network, led by NASA, called the Aerosol Robotic Network AERONET. It consists of more than 450 monitoring stations across seven continents, including several sites in Australia. AERONET’s data help atmospheric scientists worldwide to understand how aerosols influence both the global climate, and the daily weather at local scales. The importance of aerosols in the weather is twofold. 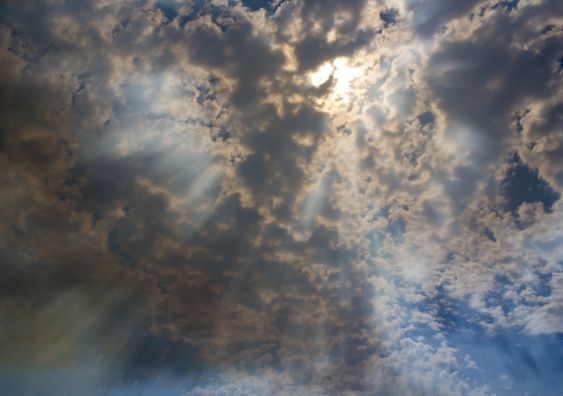 In addition to affecting atmospheric heat balance, aerosols are also responsible for seeding the formation of clouds. CSIRO’s reported plans to withdraw from AERONET has dismayed atmospheric scientists, both at NASA and in Australia. 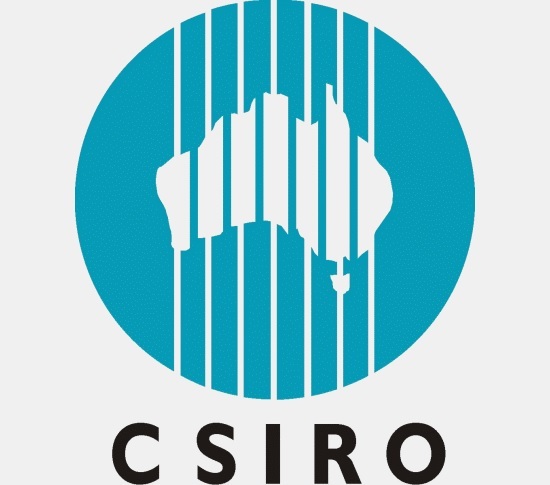 CSIRO chief executive Larry Marshall has reportedly justified his planned changes to the agency’s climate science program on the need to divert resources towards a focus on climate change mitigation and adaptation. A shift in focus towards action is certainly admirable. As any rational citizen knows, climate change is a clear and present danger to our future, and the need for compelling action towards mitigation and adaptation is urgent. Government action on climate change is highly encouraged by atmospheric scientists. But it’s dangerous to develop climate policies without reference to reliable, up-to-date environmental data on global temperature, carbon dioxide levels and aerosols, just as it would be foolhardy to develop national economic policy without reliable economic data on national debt, government revenue and expenditure, and unemployment figures. Whether it’s the economy or the climate, without an eye on the data, how can one be sure that policy is having the intended outcome? Aerosol data of the kind that AERONET provides are vital to the climate change mitigation and adaptation goals upon which CSIRO is now focusing its efforts. Here are two clear reasons why. A key strategy to reduce greenhouse emissions is the widespread uptake of renewable energy sources, particularly solar energy. Australia, the sunburnt country, has enough sunshine to power not just our own population, but with future storage technologies, enough to export for national profit. Aerosols have a significant influence on how much sunlight makes it onto the surface of a solar panel. Aerosol particles scatter and absorb the Sun’s rays, and they also help to form clouds which can reduce solar panels’ effectiveness. Thus having precise data on atmospheric aerosols in Australian skies is vital to maximising the output, efficiency and stability of our solar energy facilities. The second reason involves adapting to climate change, rather than mitigating it. Australia’s agriculture industry is highly dependent on rainfall. Droughts and floods are highly damaging, and both are predicted to become more frequent and severe due to climate change. Once again, aerosols’ role in cloud formation is a crucial factor here. Aerosols also affect the properties of existing clouds, such as droplet size, which in turn has a significant impact on rainfall. Adaptation to changing rainfall patterns and climatic events such as El Niño are vital to continued output and growth in Australian agriculture. Reliable aerosol data – obtained in Australia, by Australia, and specific to the Australian atmosphere – are vital to making informed decisions about how to protect agriculture in the future. These two examples – one focused on energy and the other concerning agriculture – show how two of Australia’s key economic sectors each rely on atmospheric aerosol monitoring. CSIRO has for many years played a major role in providing these data, and NASA is right when it urges CSIRO not to stop now. More broadly, it’s vital to realise that climate monitoring and modelling, and mitigation and adaptation go hand in hand. We can’t build proper policy for action without reliable data and forecast models. The government certainly knows this when it comes to the national economy; the same holds when it comes to climate policy. When people think of science celebrities, they think of men. Emma Johnston argues that more needs to be done to highlight the role of women in science. OPINION: Malcolm Turnbull, our innovation Prime Minister, says there’s never been a more exciting time to be an Australian but I’m only half convinced. The bright light shining on this new innovation age is not illuminating many women. And we are here. A great many women are working in science, technology, engineering and math – and we have been for many years. Some science degrees have had 50 per cent female graduates for a few decades and overall we represent about 40 per cent of science, technology, engineering and mathematics staff in universities. Yet, unless you’re looking pretty hard, we are apparently just not that easy to find. The media severely under-represents women in science, technology, engineering and math. Just look at the big science celebrities internationally. Who do you think of when you think of science in the media? David Attenborough, Brian Cox, Neil de Grasse Tyson, Brian Greene, or Carl Sagan. And in Australia, our stars are the wonderful Robyn Williams, Karl Kruszelnicki and Adam Spencer. I’m one of the rare working research scientists who makes television and I’ve heard a commercial TV executive proclaim “women don’t present science, they present cooking shows”. This bias is insidious. It reflects how many women scientists we see on our TVs and in our news articles and how we see them. When British scientist Dorothy Crowfoot Hodgkin won the Nobel Prize for Chemistry in 1964, the headlines screamed “Nobel Prize for British wife” and “Grandmother wins Nobel Prize”. Unfortunately, not much has changed. A 2014 study found that when women scientists do appear in the media, there is an unreasonable focus on their appearance, their relationship status, and their status as a parent. When researchers interrogated more than 2.3 million articles from more than 950 news outlets they found that even respected organisations like the BBC referred to men 81 per cent of the time. In its more than 50 years, only 12 of the 100 or so science speakers at the National Press Club of Australia have been women. My appearance on Wednesday as part of a panel on women in science with mathematician Nalini Joshi and physicist Tanya Monro will increase the representation of women scientists who have appeared at the press club by a quarter. Although many have their own set of biases and stereotypes, the problem is often not intended, but the fact the media tends to run to tight deadlines. They want to speak with the most senior experts in a field and they want to do so immediately. Even reporters who are consciously trying to address under-representation may struggle if they only talk to the top. Because science has struggled, like most other fields, to increase the number of women in senior roles. Women currently comprise only 16 per cent of the most senior STEM positions (excluding health) in universities. We need something to change. Australia really needs more women to enter, stay, and succeed in STEM areas. By turning off girls, by teaching both men and women that while women can study science, they can’t be science leaders, we are hindering our ability to become the smart and agile society we need to be if we are to be truly competitive in a rapidly evolving world. We absolutely need to change the structural barriers to gender equality in science. And there’s promising beginnings. Programs like Science in Australia Gender Equity or SAGE, are aiming to fundamentally redress the gender imbalance at the senior levels of science. But we must also change the strong negative stereotypes and unconscious biases as well. We must give our girls and women more successful science role models – something grand to aspire to. When we see, hear and read people talking about science we need to ensure they accurately reflect the true, full diversity of STEM professionals. Of all the serious issues facing women in science today, the lack of visible role models may be the easiest to fix. We just need to be given a chance to say we’re here, we do fascinating research, we have wonderful jobs, and we know what we’re talking about. Come find us and we’ll break the cycle together. 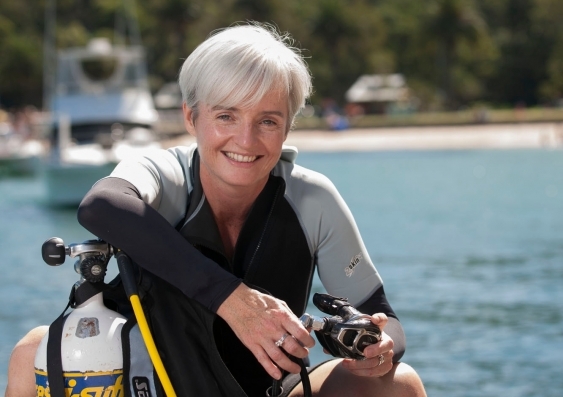 Professor Emma Johnston is an award-winning marine scientist at UNSW, Director of the Sydney Harbour Research Program at the Sydney Institute of Marine Science and TV presenter for Coast Australia. OPINION: If I had taken a straw poll among anthropologists 10 years ago asking them how far genetic research would come in the next decade, I doubt anyone would have come close to predicting the big impact fossil DNA work would come to have. Back then, this nascent field was bogged down with fundamental issues like distinguishing authentic DNA from contamination. Simply recovering enough nuclear DNA to say anything sensible at all about human origins would have been a really big achievement. But following some remarkable technical developments in that time, including next generation sequencing, ancient DNA research is beginning to come of age. And it’s no exaggeration to say that it’s dramatically rewriting our understanding of the human evolutionary story and, unexpectedly, resolving some old, seemingly intractable, questions along the way. I say ‘beginning’ because despite the remarkable findings over the last half decade or so, many of which I have written about before, ancient DNA, particularly fossil genome research, has really only just begun. Two studies out last week in the journals Science and Nature are characteristic of the coming of age of ancient DNA studies; I’ll return to them shortly. As I see it – from the viewpoint of someone who studies the fossils – this field is beginning to provide answers to some big questions we’ve been wrestling with for a long, long, time. Here are three big issues which I think geneticists are making headway on, following decades of stalled progress by fossil specialists. 1. 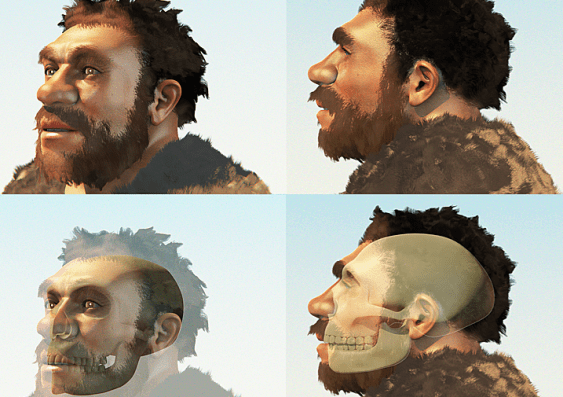 There’s been a shift from merely documenting the occurrence of interbreeding between modern humans and archaic groups, like the Neanderthals and Denisovans, to a focus on the circumstances surrounding it and its consequences for living people. A few years back we fossil-jocks couldn’t agree about whether interbreeding had actually occurred or not. The case now seems to be closed thanks to the geneticists. Interbreeding occurred, but it wasn’t terribly common. Around 2 per cent of the genome of non-African people was inherited from Neanderthals, with slightly more DNA in Indigenous Oceanic Southeast Asians, New Guineans and Australians coming from the mysterious Denisovans (on top of their Neanderthal inheritance). Even among some living African populations, there is evidence for DNA inherited from an archaic species living on that continent perhaps as late as 30 thousand years ago. I suspect there will be more evidence found in the future, from other, perhaps as yet unknown, archaic species. One of the new studies – led by Benjamin Vernot from the University of Washington – examined 35 new genomes sequenced from people living in 11 locations in the Bismarck Archipelago of New Guinea to get a better handle on gene sharing with our archaic cousins. They confirmed evidence for ancient gene flow with the Neanderthals and have better characterised mating with the mysterious Denisovans, by comparing their new genomes with around 1,500 other human samples. The New Guinean samples showed between 1.9 and 3.4 per cent of their genomes to be derived from the Deniosvans. They also showed that a second ‘pulse’ of interbreeding is seen among living East Asians, Europeans and South Asians that wasn’t shared with New Guineans. There were seemingly three separate interbreeding events with the Neanderthals: one with the ancestors of New Guineans and Australians, one with early East Asians and one with the ancestors of South Asians and Europeans. Geneticists have now turned their attention to the specific genes that have been inherited by living humans from our archaic cousins and their consequences for understanding human adaptations and disease. I’ve looked at some of these previously, like those associated with the human immune system and high altitude adaptation. The really exciting area to be explored in the future is whether genes associated with features of the skeleton can be identified, helping us to make a direct connection with the physical changes documented in the fossil record and to understand how and why such changes came about. 2. Ancient DNA is finally placing a framework around the vexed question, ‘how can we pick a new species from among the fossils’? For decades, anthropologists have been locking horns over how many species there might be in the human evolutionary tree; with estimates presently ranging from 5 to more than 25 species. So far, we’ve lacked an independent, objective, way to test our ideas. But, surprisingly, this is now emerging from comparisons of the human genome with those of our archaic cousins. For example, for over 100 years anthropologists have argued about whether the Neanderthals are a separate species to modern humans, or merely a sub-species of our kind. DNA has now given us an answer, and it should satisfy even the more hard nosed of anthropologists; although, experience tells me some of my colleagues will go the grave believing otherwise. Neanderthal, Denisovan and other archaic DNA is found unevenly throughout the human genome, occurring in hotspots, with vast deserts separating large stretches of archaic genes. One example is the human X-chromosome which is largely free of archaic DNA. This indicates that natural selection weeded out archaic genes, and also that male hybrid offspring of archaic and modern human matings were probably infertile. Anyone with a passing interest in the species questions will recognise immediately the importance of such a finding: humans and Neanderthals were different species, even if one applies the very strict criterion of ‘interbreeding’, so widely assumed to be indicative of species differences. Now, most anthropologists have considered the Neanderthals to be the closest extinct relative we humans have, regardless of their species status. Yet, DNA work shows they were highly biologically distinct from us, in accordance, as I see it, with their unusual physical features. To me, this indicates we should be prepared to recognise and accommodate many more species in the human tree, even after humans and Neanderthal had split. You might like to read my article about the complex question of species and their recognition in human evolution studies. 3. Fossil DNA is now sorting out evolutionary relationships among human species. The second study from last week, led by Matthias Meyer of the Max Planck Institute for Evolutionary Anthropology, recovered nuclear DNA from two specimens from the Spanish fossil site of Sima de Los Huesos (the ‘pit of bones’). These fossils are at least 430 thousand years old, and the new work builds on research by the team published last year where they were able to recover the much smaller and less informative mitochondrial genome from a fossil from the site. The mitochondrial DNA was found to be identical to the Deniosvans, but the new nuclear sequences are related to Neanderthals. So, the Sima de Los Huesos specimens are either very early Neanderthals or the ancestors of the Neanderthals; retaining the mitochondrial genome of their Denisovan ancestors, or perhaps even acquiring it through interbreeding. The work confirms nicely what some anthropologists have thought about the Sima de Los Huesos fossils from their anatomy. It also shows that the common ancestor of Neanderthals and modern humans lived more than 430 thousand years ago; in fact, the molecular clock in this new research indicates a split somewhere in the range of 550-765 thousand years ago. This means that the immediate ancestors of living humans evolved for at least 600 thousand years, probably longer, separately from the Neanderthals. I take away from this that it takes about 600 thousand years for hybrid sterility to kick in in humans. And, remembering that hybrid sterility is at the end of the process of species formation, we should expect there to be many more, short-lived, species in the human tree than we’ve recognised until now. Human evolution should be seen as a bush, with lot’s of twigs, rather than a thickly trunked tree, with only a small number of branches (species). I imagine diversity was the rule as we see in other living primates today. We modern humans were just one of many kinds of human, but oddly, the only one to persist today. Perhaps genomics might help us answer this mother of all mysteries in the not too distant future as well. UNSW Australia welcomes the federal government’s announcement today of a $26 million investment in the University’s world-leading quantum computing research. The major funding boost over five years will support the development of silicon quantum computing technology in Australia in association with the Australian Research Council (ARC) Centre for Quantum Computation and Communication Technology, headquartered at UNSW. It is based on a focused, ambitious and targeted program to build a 10 qubit prototype – demonstrating all the fundamental criteria of a scalable quantum computer – within five years. The announcement has been made as part of the federal government’s $1.1 billion National Innovation and Science Agenda. “Australia needs to take advantage of and evolve with the rapid pace of this technological change,” the government’s statement said. “If Australian researchers are successful in developing a quantum computing capability, it would mean the development of a valuable new industry. UNSW President and Vice-Chancellor Professor Ian Jacobs said: “UNSW researchers, led by Scientia Professor Michelle Simmons, are currently leading the global race to build the world’s first quantum computer. “I applaud the government’s vision in recognising the global significance of this research. It is a wonderful funding boost and follows a substantial investment by UNSW in this ground-breaking work,” Professor Jacobs said. Director of the ARC Centre of Excellence for Quantum Computation and Communication Technology Professor Simmons welcomed the announcement. “We are delighted by this news. Quantum computing is a transformational technology in which Australia has an international lead, and there is now an opportunity for translating this research here in Australia. It is based on a focused, ambitious and targeted program to build a 10 qubit prototype – demonstrating all the fundamental criteria of a scalable quantum computer – within five years,” said Professor Simmons. Without a boost to public and private investment, Australia would have been at risk of missing out on the long-term benefits of the research conducted at the ARC Centre of Excellence, Professor Simmons said. Quantum computing in silicon is an entirely new system at the atomic-scale and Australia leads the world in single atom engineering. In the long term, one of these next-generation quantum computers has the potential to exceed the combined power of all the computers now on Earth for certain high value applications. They will be ideal for searching huge databases much faster than conventional computers, and for performing tasks beyond the capability of even the most powerful supercomputers, such as modelling complex biological molecules for drug development. Professor Jacobs said the federal government’s broader strategy to boost the country’s innovation capacity is an important development and recognises the essential role greater collaboration between industry and universities will play in securing future economic and social prosperity. “The national Innovation Statement is an important contribution to the ongoing effort by governments, universities, industry and research institutions to scale up innovation and work more collaboratively for a far greater impact. “Universities clearly play a key role in that agenda and by working effectively with industry, government and leaders across the entire innovation ecosystem, we have a profound impact,” he said. This announcement sends a very powerful message about supporting internationally leading Australian research in areas of breakthrough technology. UNSW is at the forefront of innovation. It leads nationally in industry-linked research funding under the ARC Linkage Grant scheme; has the largest student start-up program in Australia; and was one of the first adopters of the world-leading easy access IP scheme. “We see the creation of intellectual property and knowledge as a national treasure and asset, to be shared with society. We share our knowledge and innovation with industry, government and society through our teaching, consultancy, collaborative and contract research, licensing, company creation, networking and professional development,” Professor Jacobs said. Vouchers for SMEs, entrepreneurs and start-ups to purchase university engagement. Australia may win the race to build a revolutionary quantum computer, but UNSW global research leader Michelle Simmons warns that without investment we risk losing the industry offshore. Australia may be poised to win the international race to build a quantum computer, but without investment to scale-up and industrialise the technology, the long-term benefits could be lost offshore, says UNSW Scientia Professor Michelle Simmons. Two weeks after winning the CSIRO Eureka Prize for Leadership in Science, Simmons is again in the spotlight, delivering a guest lecture at the Chief Executive Women’s 2015 annual dinner in Sydney. As the Director of the Australian Research Council Centre of Excellence for Quantum Computation and Communication Technology, Simmons has been instrumental in positioning Australia as the front-runner in the global race to build a quantum computer based in silicon. Addressing more than 900 of the nation’s top female leaders from the public and private sectors, Simmons spoke about her passion for physics and the importance of science education in high schools. She also warned that Australia is at risk of missing out on the long-term benefits of her world-leading research conducted in her Centre. “Australia has established a unique approach [to developing a quantum computer] with a competitive edge that has been described by our US funding agencies as having a two to three year lead over the rest of the world,” says Simmons. Despite leading the world, she says “there is no mechanism in Australia to scale-up what we have achieved and to translate it industrially”. Quantum computers are predicted to provide an extraordinary speed-up in computational power. For each quantum [bit] added to a circuit, the processing power doubles. Instead of performing calculations one after the other like a conventional computer, these futuristic machines – which exploit the unusual quantum properties of single atoms, the fundamental constituents of all matter – work in parallel, calculating all possible outcomes at the same time. They will be ideal for encrypting information and searching huge databases much faster than conventional computers, and for performing tasks beyond the capability of even the most powerful supercomputers, such as modelling complex biological molecules for drug development. 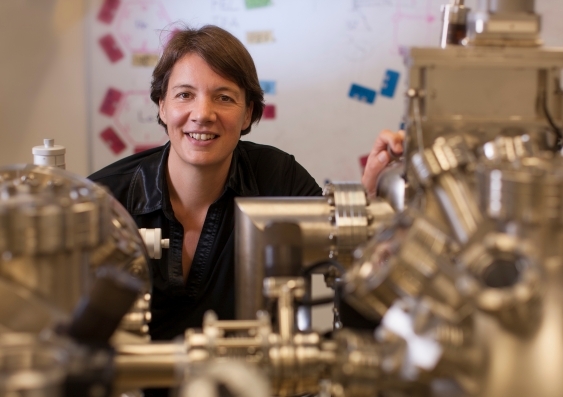 Simmons says an Australian-made prototype system using technologies patented by her team, where all functional components are manufactured and controlled on the atomic-scale, could be ready within five years. The Commonwealth Bank of Australia recently invested $5 million into the project and Simmons says she is “negotiating contracts with several other major computing, communications and aerospace industries both here and abroad”. “We are at risk of all the technology we have developed, and the trained human capital, being transferred overseas with little long-term benefit to Australia.” NO image credit. But the rest of the world is making giant strides, and putting up big money: the UK government recently put forward £270 million and the Dutch government €300 million to support quantum information research. “Australia is a fantastic place to innovate,” says Simmons. “We attract the best young people from across the world and we undertake leading international science. Simmons can speak from first-hand experience. She came to Australia back in 1999 for two reasons: the first, she says, “was academic freedom to pursue something ambitious and high risk”, and the second “was Australia’s ‘can do’ attitude”. When she was awarded an Australian Fellowship to come to UNSW, she withdrew applications for a fellowship to remain at Cambridge, and another for a faculty position at Stanford University in the US. “The UK offered years surrounded by pessimistic academics, who would tell you a thousand reasons why your ideas would not work,” she says. “The US offered a highly competitive environment where you would fight both externally and internally for funds. Once in Australia, she set up a team that is still “unique internationally”. Critics, including senior scientists at IBM, believed there were at least eight insurmountable technical challenges. “The consensus view within the scientific community was that the chances … were near impossible,” she says. Simmons also had to combine two technologies in a way that had never been done before – the STM, which provides the ability to image and manipulate single atoms, and something known as molecular beam epitaxy, which provides the ability to grow a layer of material atom by atom. “When I told the two independent system manufacturers in Germany about the idea, they said they would make a laboratory to my design, but that there would be no guarantee that it would work. It was a $3.5 million risk. Her team has since developed the world’s first single atom transistor, as well as the narrowest conducting wires in silicon. “Australia is a fantastic place to innovate. We attract the best young people from across the world and we undertake leading international science”. Scientia Professor Michelle Simmons with Research Associate Bent Webber. Simmons’ foray into physics began, in part, thanks to a chess match. Simmons used to watch her father and brother playing intense games in her family’s living room in south-east London in the 1970s. One day, the eight-year-old observer asked to play, eliciting a “somewhat dismissive and terse” response from her father, she recalls. “A girl! Wanting to play chess. Well, he indulged me and did something that I believe changed the course of my life,” she says. A surprise victory over her father, and several more over the coming weeks and months, saw Simmons take-up competitive chess at her father’s behest, ultimately becoming the London girls chess champion at 12. Ultimately, it wasn’t her calling, but chess, she says, taught her to challenge herself and other people’s expectations, and to pursue something she truly loved. She also credits an excellent physics teacher who challenged and encouraged her – and even lined up a phone conversation with a US astronaut, after he learned this was Simmons’ dream profession. Simmons has exemplified that belief. She was named NSW Scientist of the Year in 2012, was awarded an ARCl Laureate Fellowship in 2013, and in 2014 joined the likes of Stephen Hawking and Albert Einstein as an elected member of the American Academy of Arts and Science. “For me, the next challenge is not one of quantum physics but of finding a way working with Australian government, and industries both here and abroad, to establish a high-tech quantum industry in Australia,” she says. “To back its brightest and best and to ensure that Australian innovation stays here in Australia. Based at UNSW, the ARC Centre of Excellence for Quantum Computation and Communication Technology is an interdisciplinary, multi-institute centre with more than 180 researchers. In addition to Simmons, key staff members at UNSW include Scientia Professors Andrew Dzurak and Sven Rogge, and Associate Professor Andrea Morello. See the full article for additional links. The coming El Niño and La Niña double bill could be the strongest since 1998, affecting a vast swathe of the planet from Africa, through Australasia and all the way to the Americas, write Wenju Cai, Agus Santoso and Guojian Wang. OPINION: The anticipation is growing that this year’s newly formed will turn out to be very big. All climate models surveyed by the Australian Bureau of Meteorology are currently predicting a strong event later this year. The 1997–98 El Niño observed by TOPEX/Poseidon. 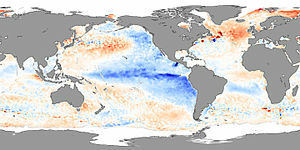 The white areas off the Tropical Western coasts of northern South and all Central America as well as along the Central-eastern equatorial and Southeastern Pacific Ocean indicate the pool of warm water. Water temperatures around the Mentawai Islands dropped about 4° Celsius during the height of the Indian Ocean Dipole in November of 1997. During these events unusually strong winds from the east push warm surface water towards Africa, allowing cold water to upwell along the Sumatran coast. In this image blue areas are colder than normal, while red areas are warmer than normal. Guojian Wang is a Postdoctoral fellow at CSIRO. Agus Santoso is a Senior Research Associate at UNSW. Wenju Cai is a Principal Research Scientist, Wealth from Oceans Flagship at CSIRO. The four volcanoes are located about 155 miles (250 kilometers) off the coast of Sydney, the researchers found during the mission, which lasted from June 3 to 18. The scientists immediately recognized them as calderas, a cauldronlike structure that forms after a volcano erupts and collapses into itself, creating a crater. The largest extinct volcano measures about 1 mile (1.5 km) across and towers about 0.4 miles (700 meters) above the seafloor, the researchers said. The cluster is a large one, measuring about 12 miles (20 km) long and 4 miles (6 km) wide, they added. The discovery will help geoscientists learn more about the geological forces that shaped the region, said Richard Arculus, a professor of marine geology at the Australian National University and an expert on volcanoes. “They tell us part of the story of how New Zealand and Australia separated around 40 [million to] 80 million years ago, and they’ll now help scientists target future exploration of the seafloor to unlock the secrets of the Earth’s crust,” Arculus said in a statement. The volcano cluster, which sits about 3 miles (4.9 km) underwater, went unnoticed until now because researchers didn’t have adequate tools to measure and map the deep seafloor, Arculus said. The sonar on the old research vessel run by Marine National Facility (MNF), a research group funded by the Australian government, only had the ability to map the seafloor to about 1.9 miles (3 km) underwater, he said. A new 308-foot-long (94 m) vessel, named the Investigator, has a greater scope. “On board the new MNF vessel, Investigator, we have sonar that can map the seafloor to any depth, so all of Australia’s vast ocean territory is now within reach, and that is enormously exciting,” Arculus said. During the Investigator’s latest mission, researchers were looking for the nursery grounds of lobster larvae while simultaneously carrying out a routine mapping of the seafloor. During the mission, the Investigator’s crew sent data to a team at the University of New South Wales, who analyzed the information and sent back their results, which included satellite imagery. This allowed the marine crew to chase eddies created by the marine creatures they were tracking. “This is the first time we’ve been able to respond directly to the changing dynamics of the ocean and, for a biological oceanographer like me, it doesn’t get more thrilling,” Suthers said. The research team found juvenile fish popular among fishermen, such as bream and tailor, about 93 miles (150 km) offshore.